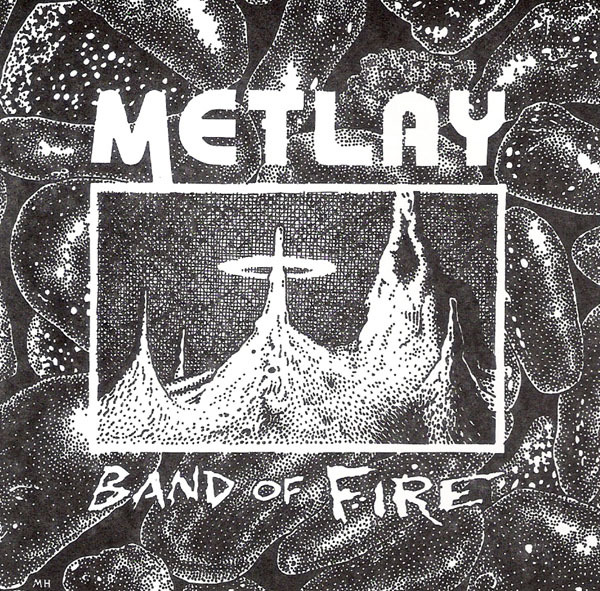 Originally released on the Synkronos compilation tape Facets in 1991, Mike Metlay’s contribution Band of Fire is now available in all its glory on a limited edition CD maxi-single. Mike digitally remastered Band of Fire to reduce the noise levels and enhance the sound. The resulting sound is much cleaner and you can now experience the visceral rumbling bass that opens and closes the piece. Band of Fire is the musical equivalent of the Worm Ouroboros. Set your CD player on repeat and Band of Fire becomes a seamless Moebius Strip of dark pensive electronic music changing from quiescent rumblings to bombastic rhythms. Band of Fire is great stuff. Don’t waste any time, with only 500 copies released it won’t last long.